Having a dirty bath tub in your home can be a cause of extreme concern in the long run. It is the place from where most of the germs would spread and you can also be the victim of many serious ailments. 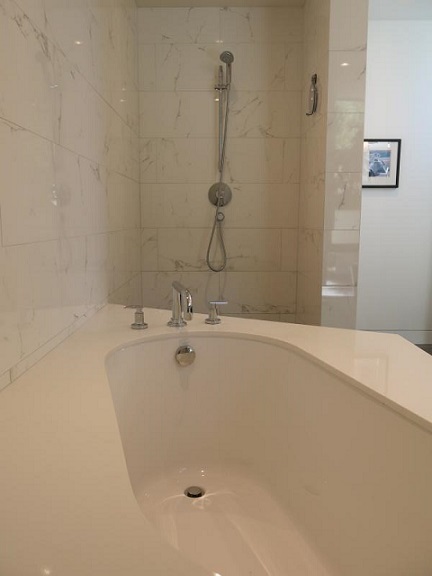 The bath tub reflects the grandeur of your bathroom. So in order to get more knowledge on how to clean your bath tub read the following instructions mentioned below. Both the walls and the top of the bath tub should be throughly cleaned to prevent the transmission of any types of bacteria. Before starting to clean the bath tub just wear your runner gloves and then proceed on to spray the all-purpose cleaner liberally on all the walls over the tub. After the cleaner has set on well on your bath tub than just rinse it off or wipe it off completely. If any mildew was there then to remove it with the help of a tile cleaner. Then with the help of a grout brush make an application of the tile cleaner and then scrub in a thorough manner. Following the application of the tile cleaner and scrubbing rinse well. Tilex, Soft Scrub or Comet are some of the best quality cleansing agents that can be used to clean your bath tub wth much efficiency. The cleaner which you are using to scrub your bath tub should be a heavy duty one. Do not start scrubbing and brushing soon after applying the cleaner. Let it sit well for sometime for atleast five to ten minutes. And make sure that you scrub all the corners of the bath tub when you will be on the cleaning spree. You must also pay special attention the areas around the drain. If the tub is made of acrylic than apply a bath tub cleaner which is nonabrasive. The brush with which you are scrubbing should be soft and bristled. After all the scrubbing and brushing make sure that you rinse the tub well so that no amount of grim and dirt stays back. The brush which wou will be using the clean your bath tub should be made of rubber and the best ones available in the market are ones those are manufactured in Thailand. The gloves would ensure that your delicate hands stay well even after that rigorous cleaning process. The gloves are extremely important as they save your hands from the harsh effects of the harmful chemicals. Before setting yourself ready for cleaning the bath tub make sure you keep the bathroom window open so that the fresh air can come in and relieve you of the heavy gases released by that of the chemical components. You should also divide your cleaning spree in various periods and make sure that you give sufficent time to get your bath tub cleaned. After you are done with the whole cleaning process than take special care to see that it is regularly maintained and after a few weeks you can repeat the same going over.